* 48° (35° Forward Lean, 13° Backward Lean) As it’s function of a touring boot, the forward lean while hiking is the most important to walk with. 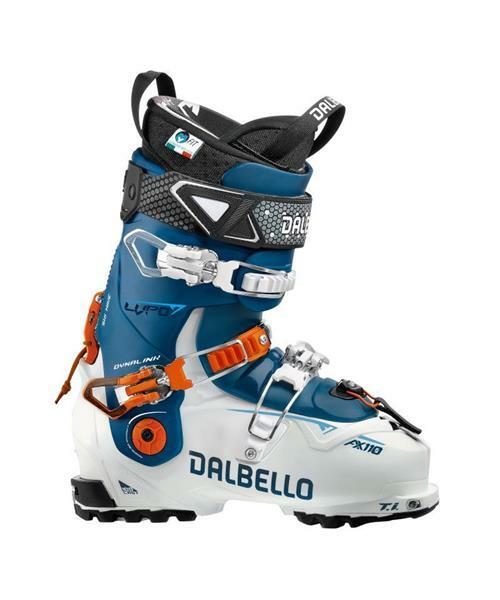 * Dalbello’s Women’s ski-boot line is developed by women. Woman technicians, designers and members of the Dalbello Freeski team are involved with product engineering and design. The finest Italian design technology assures the best dedicated women’s product in the world. * The unique, comfortable fit and size profile is optimized for a women‘s foot characteristics. Due to a narrow heel- and wider forefoot part, the women boots support a female skier in the best way by transmitting the power directly and cushioning the foot all day long.